We recently completed initial response activities to mitigate threats posed by gasoline product discovered in an off-site utility excavation (approximately 150 feet from the site). 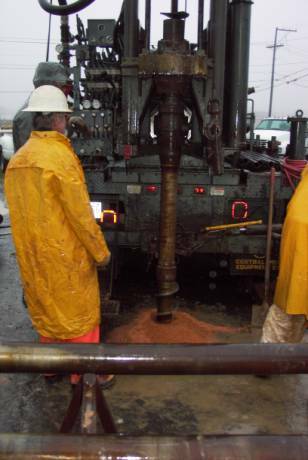 Initial abatement efforts included product removal using strategically placed extraction wells at on-site locations and utilization of mobile enhanced multiphase extraction techniques. We have recovered over 475 gallons of free product and 11,000 gallons of impacted groundwater to date and have been able to limit off-site migration of product. We are currently in the process of implementing a Dual-Phase remediation system to address the free product issues and impacted groundwater at the site.